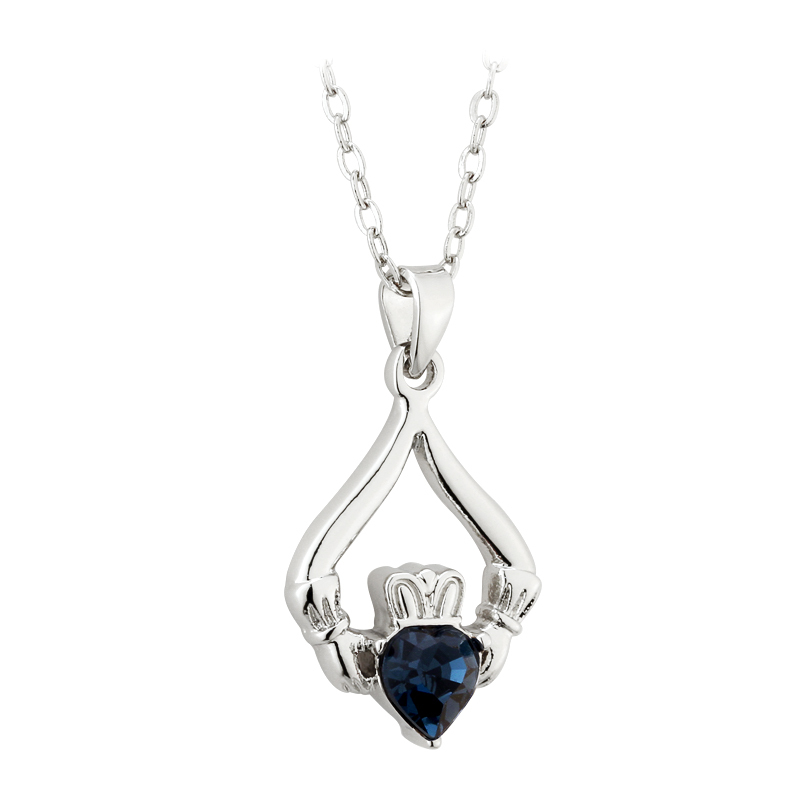 This Claddagh pendant features your birthstone at the heart of the claddagh. This necklace is rhodium plated and comes boxed on an 18" chain. This pendant is Made in Ireland.